This was my personal addition to our the fall/winter menu. 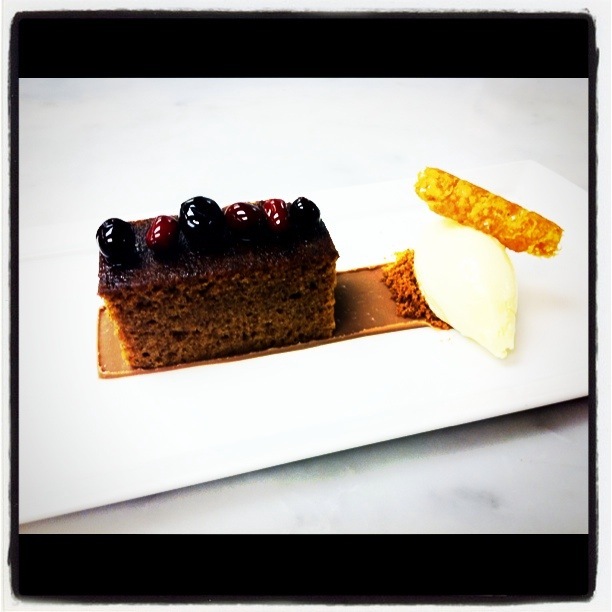 Spiced pumpkin cake, port braised cranberries on a ganache of smoked Lindt milk chocolate, served with a mild goat cheese gelato. Sorry its not the best picture I took it on my iphone and the kitchen has florescent lighting.